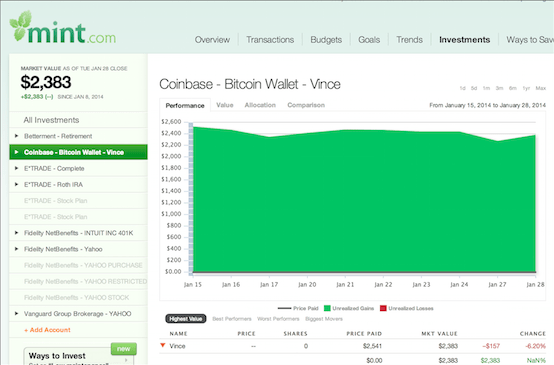 There’s exciting news coming out of Mint HQ today: Mint.com now gives users a view their digital Bitcoin transactions alongside their traditional financial accounts. FYI: Mint is the only personal finance and money management tool that enables users to view their Bitcoin transactions. Getting your total financial picture using Mint just got even easier! For those of you who might not be familiar with Bitcoin (offered by Coinbase), it’s an emerging electronic currency that lets people electronically transfer funds directly to one another without using traditional financial institutions or other third parties. And Coinbase is the largest and fastest-growing Bitcoin wallet service in the United States, supporting more than 840,000 Bitcoin wallets, exceeding the customer base of many mid-sized traditional banks. Now, for the question everyone has been asking: How do I link my Coinbase account to Mint? 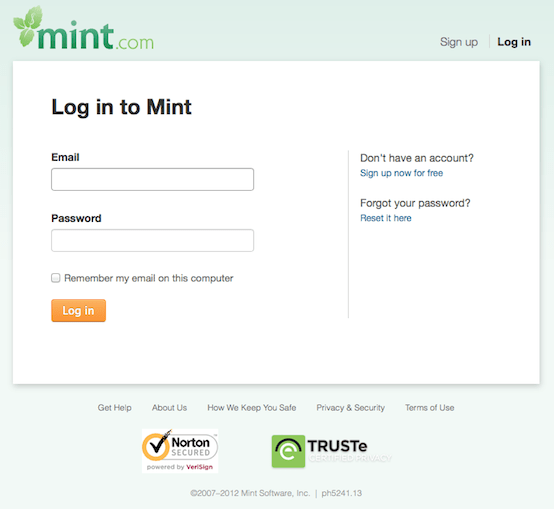 Log in to your Mint.com account. Click on “Accounts” and then “Add Account”. Add your API Key and click “Add It”. Your coinbase account will automatically update in Mint just like your other banks accounts, credit cards, and loans. You’ll find it under “Investments”. 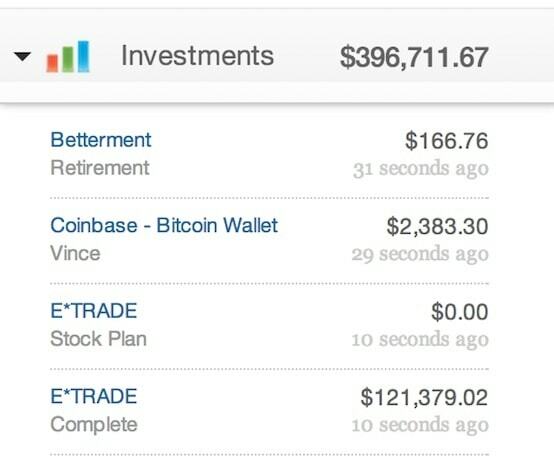 And you’ll be able to see your Coinbase performance over time, just like the rest of your investments.